Look at this gorgeous antique quilt I found. This is one of my 15 that I'm re-designing!!! What do you think? Won't it be wonderful in reproduction prints in the golds, browns, reds, blues? Add those scrappy backgrounds.... a stop border(inner border...I think it needs one) and a super outer border and we have a winner!! Now tell me... who doesn't love making 1/2 square triangles? Each large block will be 18"! 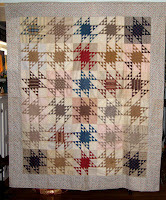 With borders it should finish somewhere around 100" x 118".... just the way I like them! BIG!!!! H-m-m-m-m... I'll have to come with a great name for this quilt!! It's full of flying geese... they seem to be flying around the center block! 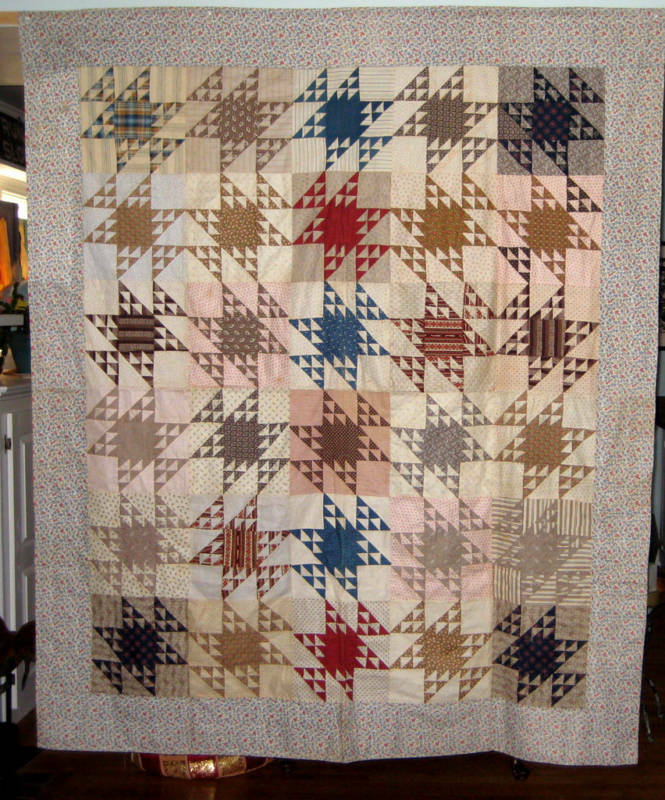 How about helping me to name this quilt? Let me know what you think!! If I pick your quilt name, I'll send you a pattern when it's finished ... FREE!! !